Some loans have low payments for a few years and then must be paid off with a "balloon payment." Some loans have interest rates that "adjust" with changing prime interest rates. The result can be monthly payments that soar beyond consumers' ability to pay. Some loans have "interest only" monthly payments, meaning that even after several years of making payments, the principal due will be the same as at the beginning of the mortgage. Prices for things that many people need and want have increased. Inflation erodes people's ability to stay current on their home mortgage payments. Many jobs have been lost due to layoffs, mergers, downsizing and outsourcing of work to other countries, such as India. Commercial real estate vacancies are increasing steadily. Credit is more difficult for small businesses to obtain than in the past. Prices of vital commodities such as gasoline fluctuate greatly. When the price rises too much, some people are unable to make a living. Real estate values have dropped, resulting in "upside down" mortgage situations for many people: they owe more on their homes than what the homes can be sold for. Many people live paycheck to paycheck, and an extraordinary challenge such as a divorce, a medical crisis or a car accident can be the straw that broke the camel's back. Many people have refinanced their homes or taken out second mortgages in order to tap into home equity to pay off consumer debts, send children to college or deal with unexpected medical expenses or business failures. Whatever your circumstances, Scura, Wigfield, Heyer, Stevens & Cammarota, LLP, welcomes your inquiry regarding how we can advise you and if necessary, represent you in foreclosure litigation. If you are facing foreclosure and believe your mortgage lender has acted unfairly, you may wish to challenge your lender and defend yourself against foreclosure. Or you may want to persuade your lender to let you sell your house in a " short sale," at whatever the market will offer and count the debt as paid in full. Do you want to negotiate with your lender for a loan modification? 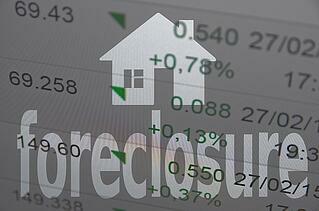 Our knowledgeable foreclosure defense lawyers can recommend a course of action that is best for you. You may have heard that through Chapter 13 bankruptcy, you can stop foreclosure, consolidate and reduce your debts (including mortgage payments in arrears) and repay over several years time at a level that you can afford. Scura, Wigfield, Heyer, Stevens & Cammarota, LLP, has ample experience in bankruptcy law. With an aggressive and insightful foreclosure attorney on your side, you can determine which option is most advantageous and put it in motion. Your attorney might even uncover an irregularity or flaw in your mortgage that may provide fresh ammunition in the fight against foreclosure. Our New Jersey foreclosure attorneys are prepared to take the time and care necessary to hear your concerns and let you know how we can help. Contact one of our lawyers today for a free initial consultation. We have offices in Wayne and Hoboken to serve you better.